A couple of Saturdays ago, I was in Reno to spend time with a friend. That evening I found myself at the Controlled Burn. 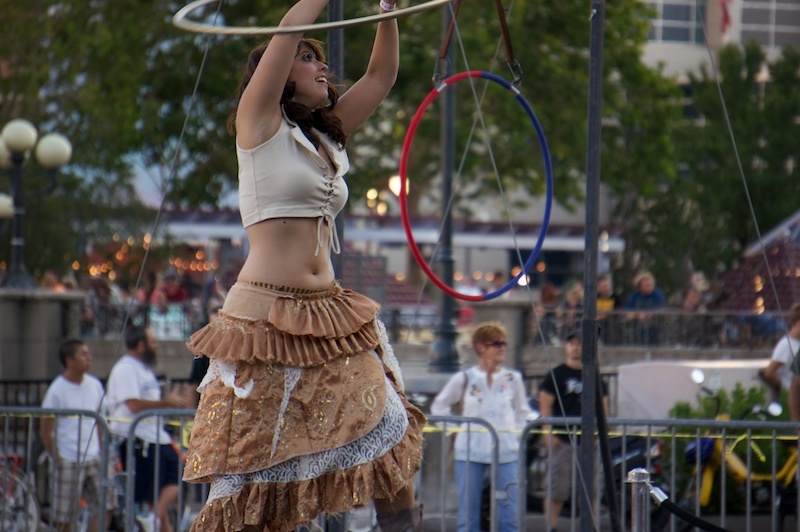 The shows were wonderful and this image captured this beautiful young dancer who favors the Hula Hoop. She is a professional by any standard.